What is notice of intention to consider cancellation (an NOICC)? 1 What is notice of intention to consider cancellation (an NOICC)? 3 What to do if notice to cancel a visa has been issued? 5 How can we help? If the department of immigration would come across any information that you do not comply with your visa obligations or your visa has been granted based on bogus documents they will send you an NOCC along with some other documents such as your criminal record. 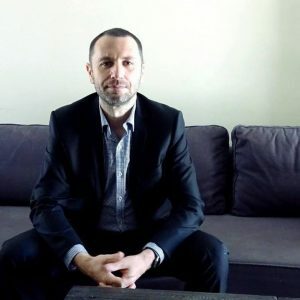 They will ask you to comment on the information, you are given a chance to defend yourself and convince a case officer your visa shall not be cancelled. Bear in mind there are time limits for a response. There could be few different reasons that an NOICC may be issued. You must know the reason why case officer is considering cancellation of your visa before you can stop it. Dependant on the subclass of your visa and your personal circumstances there could be different cancellation powers and processes being used. Breach of visa conditions. Most common is working without work rights or beyond work limitations. For some of the above NOICC actually is not being issued at all. If your visa is auto-cancelled (under section 501 (3A)), NOICC will not bean issued and you will receive notification of cancellation of your visa straight away with written notice which gives you the opportunity for an application to have the cancellation decision overturned. What to do if notice to cancel a visa has been issued? In most cases, the Department of Immigration will issue a Notice of Intention to Consider Cancellation of your visa. You will be given some time to respond with an evidence submissions why your visa should not be cancelled. The case officer will review your submission and then will make a decision to cancel your visa or not. If you will not respond within the timeframe, your visa will be cancelled. If case officer believes that incorrect information has been provided on your visa application (bogus documents) and you did not let them know about the fact your visa might be cancelled. S116 is meant to give a case officer the power to cancel a visa based on a set of circumstances, or changes in circumstances. 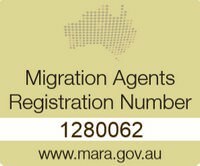 This may include a person who didn’t comply with visa obligations or visitor who came to Australia as a student but has been found to not be a genuine one. A business visa may be cancelled if the case officer would find out that the visa holder is not participating in the management of their business or if they did not obtain the necessary Australian business interest as required by the visa conditions. A non-complying student cancellation usually is being issued after school notifies the department of immigration that the student breached the terms of the visa. When this happens, a visa will be automatically cancelled 28 days after the date NOICC has been issued unless the visa holder takes action to comply with visa conditions or provides information about the breach. If the case officer determines that the person does not pass the character test, their visa may be cancelled and they’ll be put into a detention centre. This is usually used when the visa is being cancelled due to criminal records, convictions, and sexual offences that involve children. Every situation is different, that’s why you need to determine why an NOICC has been issued and how it is relating to your situation. 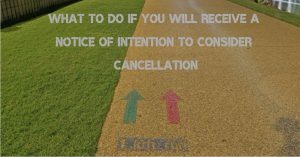 If you don’t know how to stop a Notice of Intention to Consider Cancellation call us on +61 (7) 3668 0658 at your earliest opportunity as there is not much time given for a response by the department. If you do prefer to contact us online, please use this form so we’ll get back to you, otherwise book an appointment.